fanaddict: How many points is home-court advantage? How many points is home-court advantage? How many points is home-court advantage. Putting a number on this stat is extremely difficult so let me begin by stating how home court yields an advantage. When a team plays at home, they have both the fans and refs by their side. As much as people will deny that the fans influence the referees, no human being will willingly make 15,000+ fans hate their guts whenever they call a foul or blow their whistle. 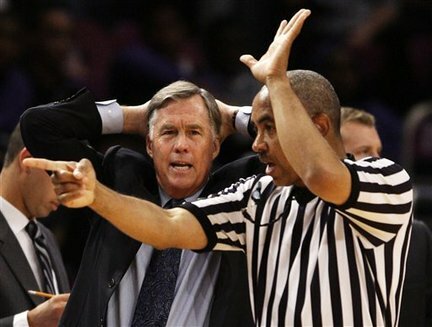 As a result, the referees are more likely to call fewer fouls against the home team and more against the home team. The fans will then attempt to distract the opposing free-throw shooters and offense in order to make an impact on the game. In this post, I will be looking at the more consistent teams with a high average home attendance in order to formulate an average of how many points home-court advantage yields based on home-and-away conference match ups.